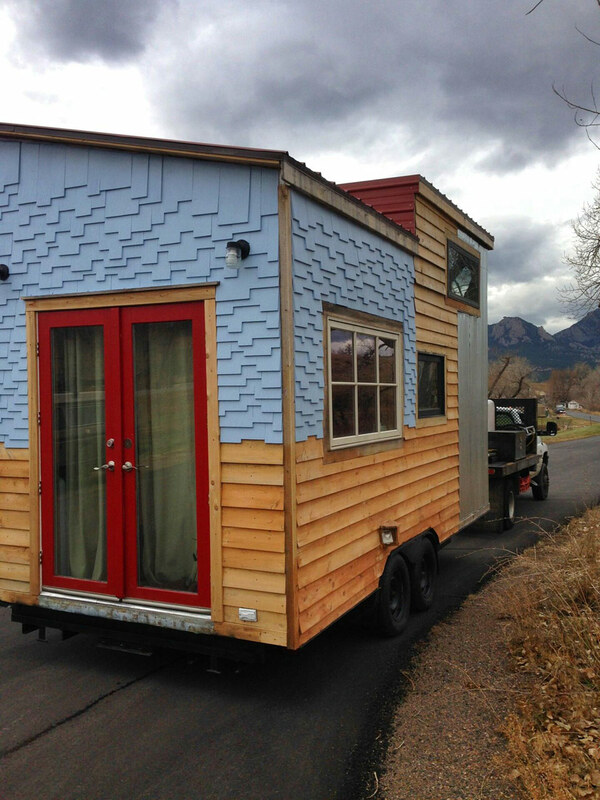 A 159 square feet tiny house on wheels clad in various siding options in Boulder, Colorado. More info. here. I hope you’ll move the drawer pulls to the wall side of the drawer and perhaps put them vertically. They’re a toe catcher on the way up and a heel impediment on the way down in their current position. AWESOME that you put in the drawers!! Love all the thought you’ve put into your home. Big fan of the metal wall protection next to the stove. I think drawers with cutouts rather than pulls would work well. I love this little house! 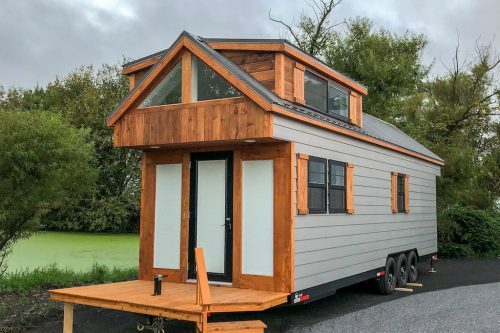 How much does a house this size weigh? I would have to have one more step to get in that bed. Too high for me! I would also require a railing or it would be certain maiming or even death when I fell to the floor. I live just down the rd from this house. 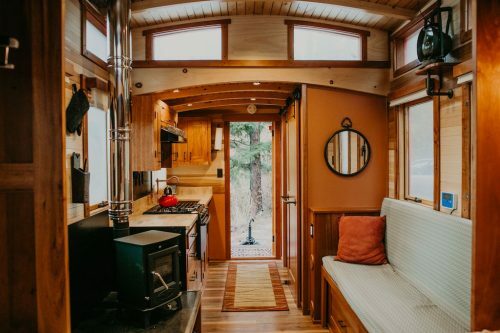 It has since moved but I am elated to see interior photos! Please share your experience, Im looking to build my own. Another Swoon awesome modern home design. Lovely hand rail “extra” design wonder. 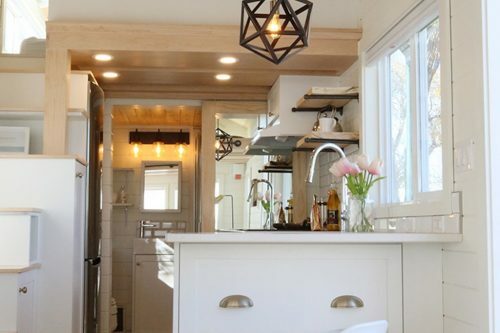 love these newer styles that young builders have enhanced for us. Just great design features etc., through out. great concept choices. Can sliding doors be installed instead of from meted curtains separating the living spaces? 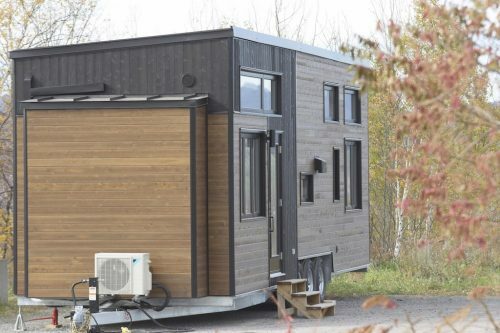 Also, can solar panels be mounted on roof to generate electricity and make this tiny home more “green”? Beautiful design – I love the exterior. It seems as though the living space would be a bit cramped for 2. I’d also want some kind of barrier or railing on the loft. I’ve never fallen out of bed, but the thought of falling out of a loft freaks me out a bit. What is the large peices of metal that is used around the stove top and the sink. Where would I be able to aquire it. Love this house not to fussy looking. Very bright cheerful space. Love the railing. The couch and table look great. Functional and pretty. 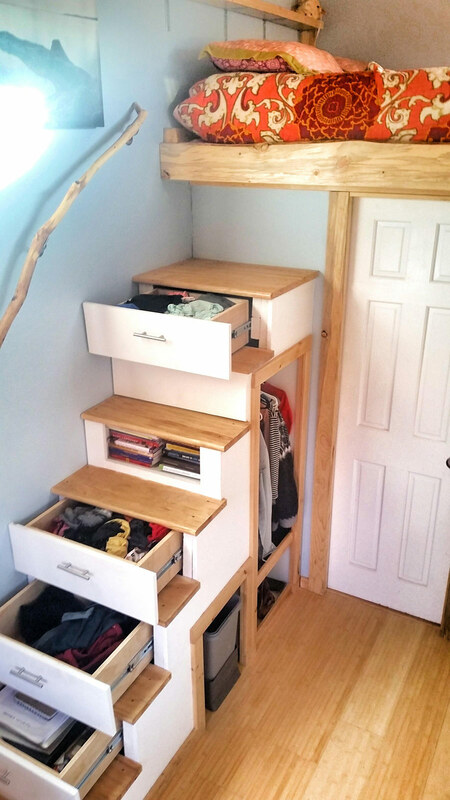 Little closet under the stairs. Good! 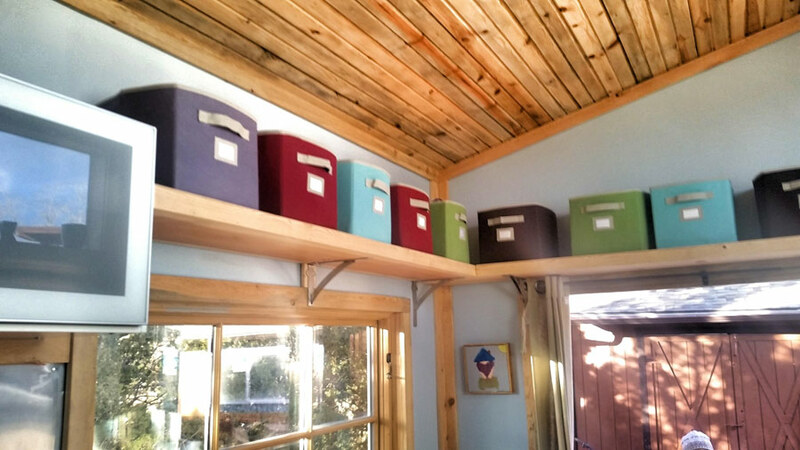 drawers! Yay! Agree with above comment about drawer pulls being toe catchers tho. The kitchen delightful but a tad too small. How big is this house? The bathroom looks like it is very cute from the view of the sink. Light, bright, airy and cozy! Well done! 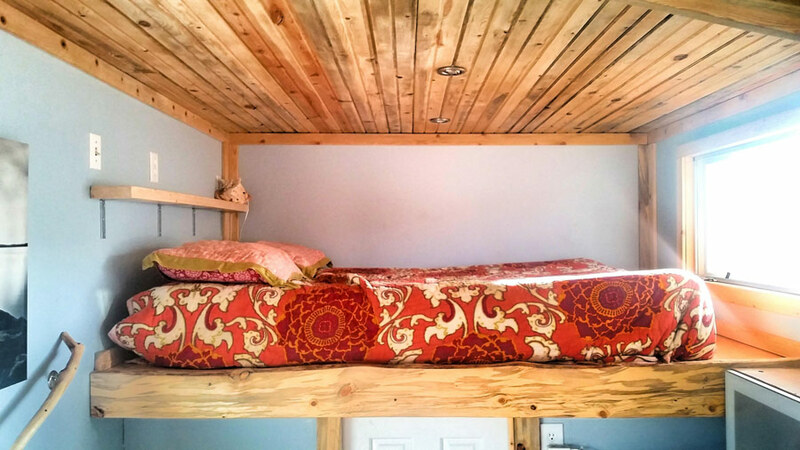 bed needs a side rail. Other than that, i love this place! Where can i get one? Why would the bed need a rail? 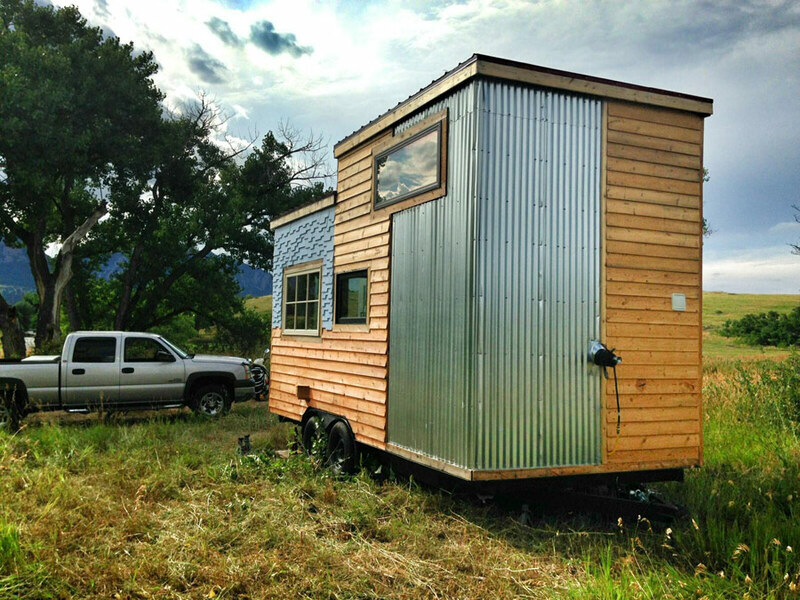 that is for babies, I love this house people just complicate things too much, after all it is a tiny house! !